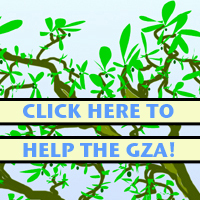 You can join Shomrei Breishit by clicking here. You can see the list of Shmorei Breishit members here. You can read the initial statement by clicking here. The world is on fire and God is calling us to act. Rabbis and cantors are meant to wake us from torpor, evoke moral courage and speak in the tradition of the prophets. We need awakening now in the face of the climate crisis, one of the greatest challenges facing humanity. In response, Ayztim and GreenFaith have formed Shomrei Breitshit: Rabbis and Cantors for the Earth, an international, multi-denominational network of rabbis and cantors providing a Jewish voice on climate change and environmental justice. Shomrei Breishit has released an initial statement signed by a sanhedrin's worth of leading rabbis and cantors worldwide. This isn’t a normal statement that simply calls on others to take action. It’s a personal commitment from the signers, who have pledged to become carbon neutral through conservation, purchasing offsets, and using renewable energy, to begin to dis-invest their own funds from fossil fuel holdings, and to reinvest a portion of these funds in sustainable-energy development. Shomrei Breishit will play a leading role in organizing Jewish participation in OurVoices.net, the international, multi-faith campaign for a strong climate agreement, encouraging Jews around the world to participate in a global vigil in support of a climate treaty. The network also will offer environmental education and training opportunities for Jewish leaders and organize an environmental voice at the World Zionist Congress. Within the United States, rabbis and cantors affiliated with Shomrei Breishit will take part in climate change advocacy at state and federal levels. Troster is a long-time Jewish environmental leader, an Aytzim board member, co-founder of the GreenFaith Fellowship Program, and GreenFaith’s long-time Rabbinic Scholar in Residence. GreenFaith is a religious-environmental organization which offers a range of programs to foster environmental leadership by diverse faith communities, and is is the coordinator of the OurVoices.net campaign, which currently has staff in the United States, London, Hong Kong and Mumbai. 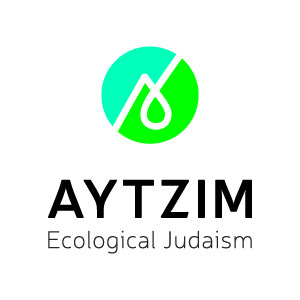 Since 2001, Aytzim: Ecological Judaism, the parent organization of Jewcology and the Green Zionist Alliance, has educated and mobilized people around the world for Israel’s environment. Its work has led to millions of trees being planted, hundreds of miles of bike trails being built, and the preservation of natural areas that have saved endangered species from extinction. Rabbi Tarfon (Pirkei Avot 2:15-16) taught that even though the time is short, the work is great, and we are not obligated to finish the task, neither are we free to absolve ourselves from it. In this spirit, the rabbis and cantors of Shomrei Breitshit are stepping forward to speak and to act.